Abb chat pe loan milega! Are you facing loan rejections or don’t have time to apply, process & track loans? Now save time with OfferMeLoan. 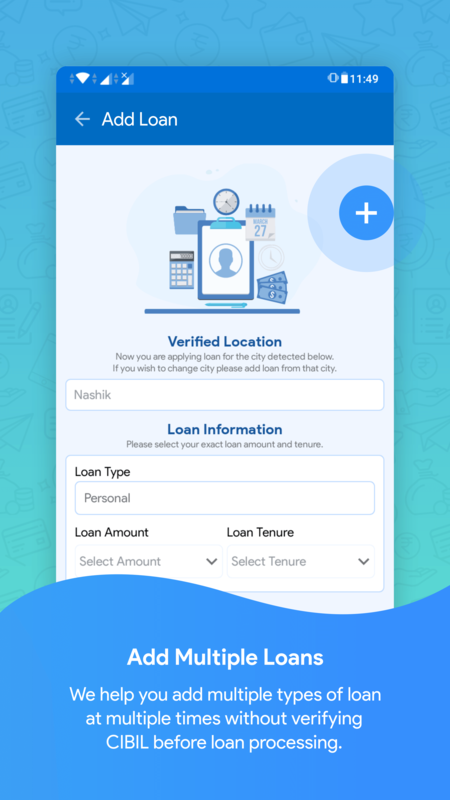 Get Instant loans below and above 1 Lakh from Bank/NBFC Nearby You from app itself! Chat with Nearby OML Partner! *Advance ₹99/- + ₹1900/- After Loan Sanction. 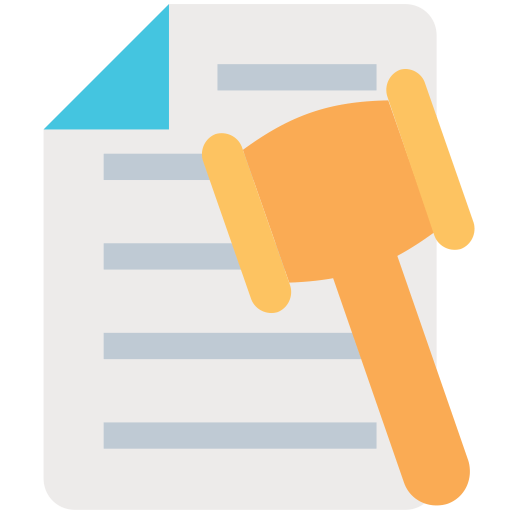 OfferMeLoan authorized service partners are expert Certified CA, CS, Lawyers, Professionals Nearby you. You will receive a call back for consulting after payment. 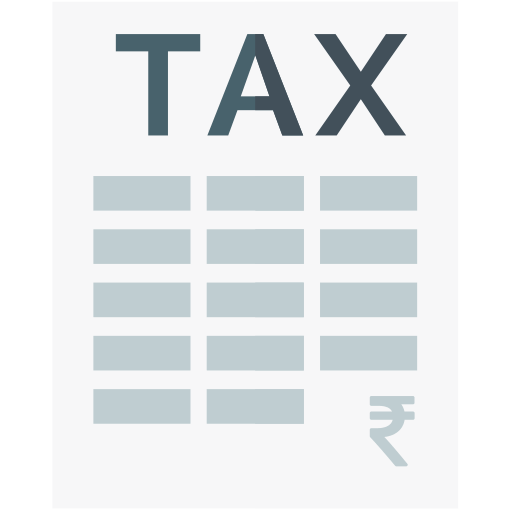 Consulting Charges-Rs.100/-(Services Charges Additional) T&C - Rs.100/- will be reduced from service charges at billing. 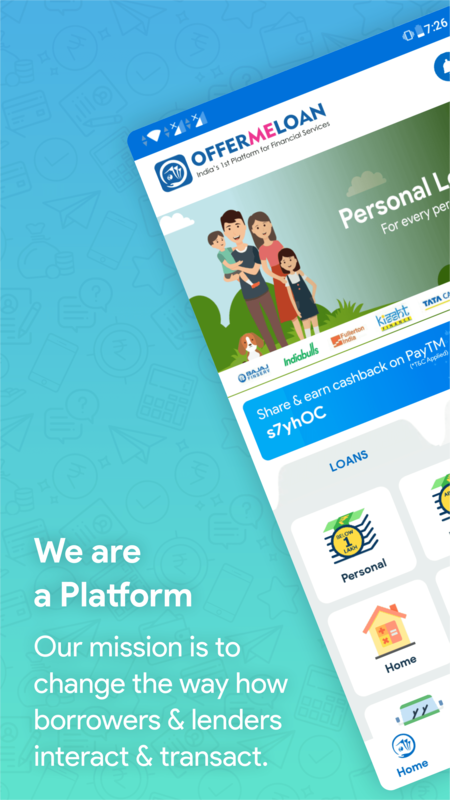 We are a platform for borrowers & financiers! (i.e Lending companies, Banks, NBFC’s) interact & transact! Who are the OML Partners? We help you to get professional pre-loan consulting with loan processing & financial services nearby you from our Certified OML Partners who are registered with all types of Banks, NBFCs & Finance Companies. 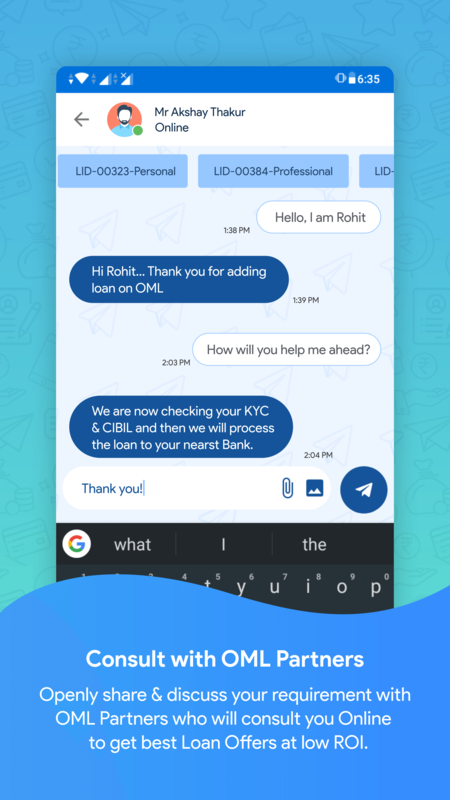 Our Partners will help you to get loan on Call & Chat even if you don’t have CIBIL Score & you can also share the documents from OML App securely. We have hundreds of happy customers who got loan from OML even if they have other loans running simultaneously. You will not be charged any additional/hidden charges from OML apart from OML Processing Fees. You can instantly add the loan without CIBIL. Download the app from Google Play store and get registered. Follow the app instructions and reach the nearby OML Partner within minutes! Our mission is to change the way how borrowers and financiers (i.e Lending companies, Banks, NBFC’s) interact & transact. Our goal is to provide access to all types of loans at insight competitive interest rates from Financiers to Borrowers with high transparency of communication whereas we are the only mediator to them. 2. Which types of loans can we apply? We offer loans of all primary categories which is Personal, Business, Home, Car, Bike, Education, Mortgage & Gold. Eventually you can apply for Personal Loan for any another needs such as Travelling, Shopping and Medical, etc. Collateral loans on Property & Security are covered in Mortgage. 3. What is the Rate of Interest on Loans? The rate of interest is decided by the respective Bank or NBFC which will process your application after verification from our Authorised OML Partner. You can negotiate or ask the OML Partner to try another Banks and NBFC if the ROI is not according to your expectations! 4. What are the limitations to Borrower at OML? Their is no such limitations for the borrower for adding loans but you have limited space allocated for chatting and document uploading. Borrower should have to wait for the loans to process organically because we process your loan applications from third party banks and NBFC and not in house by OML which takes time. 5. 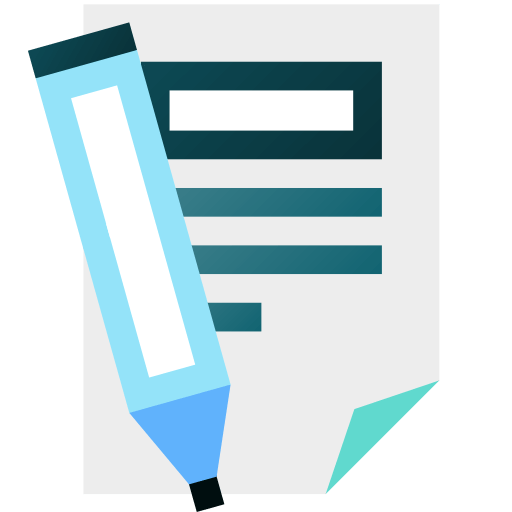 What are the documents required to process the loan? Documents demanded are dependent on Bank & NBFC. Normally we take your KYC and CIBIL report. Additional documents are demanded according your borrower & loan category under the respective Bank / NBFC policy. 6. How many days does it take to approve loan? The process if loan approval is completely dependent on Bank and NBFC. If the documents are clear with positive CIBIL Score then the loan processing may take maximum a week or within. Depending on multiple criteria the turn around time varies. 7. How to track the loan progress? With the help of App you can check all the loan processing status starting form Call verification until disbursement. You will receive Notification for each progress of Loan proposal from OML Authorised Partner Nearby you! 8. How to share confidential documents? Sharing documents at OML is complete Safety. 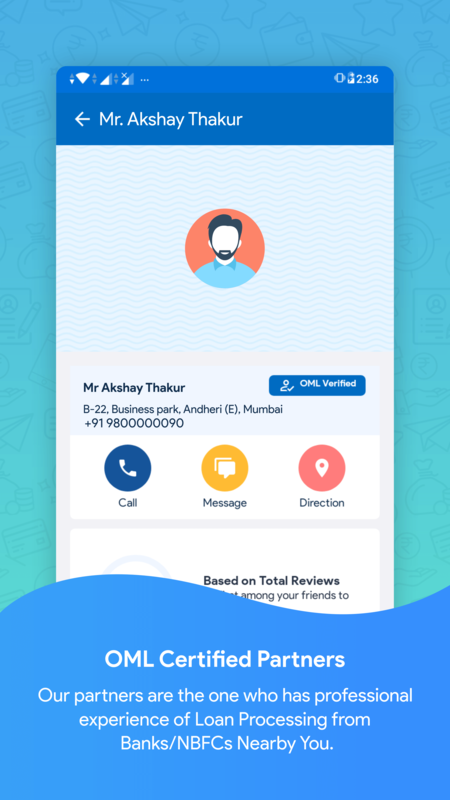 You can share your KYC, Salary Slips, Bank Statements, ITR and more and use the App as a Locker to safeguard your documents at once place. 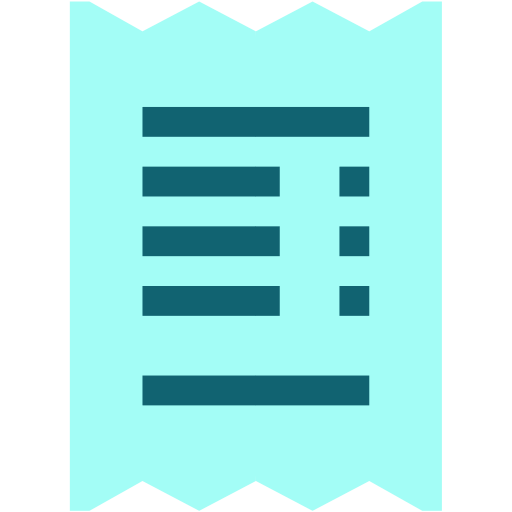 Documents can be shared via Chat or Upload Section. 9. How it works without CIBIL Score? According to RBI Guidelines CIBIL is mandatory to check before processing the loan for any Financial Institution, Bank or NBFC. 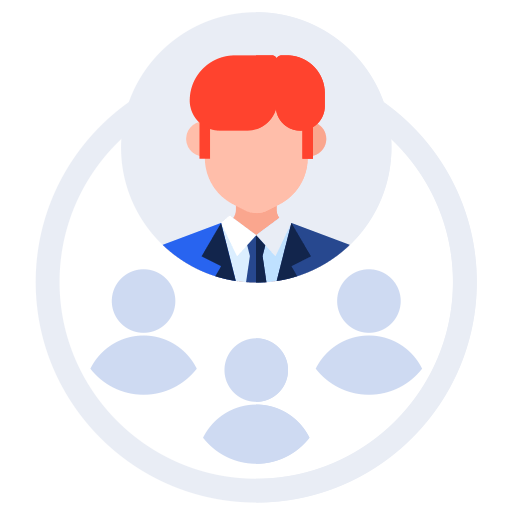 But we have made a provision that you can first reach to the Professionals nearby you and understand your loan possibilities and then process for CIBIL. Checking CIBIL at multiple apps reduces the Credit Score. 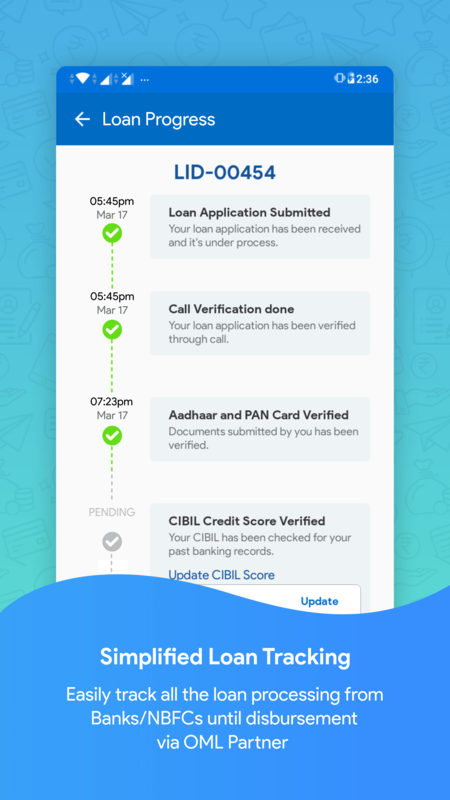 You can add the CIBIL score after loan adding. 10. How do I cancel my loan application? If you wish to Cancel or Complete the loan its very easy. Simply login to your App or Web Portal and change the status from In Progress to Completed. Your loan application will be cancelled. 11. How can I change my Loan amount and purpose? 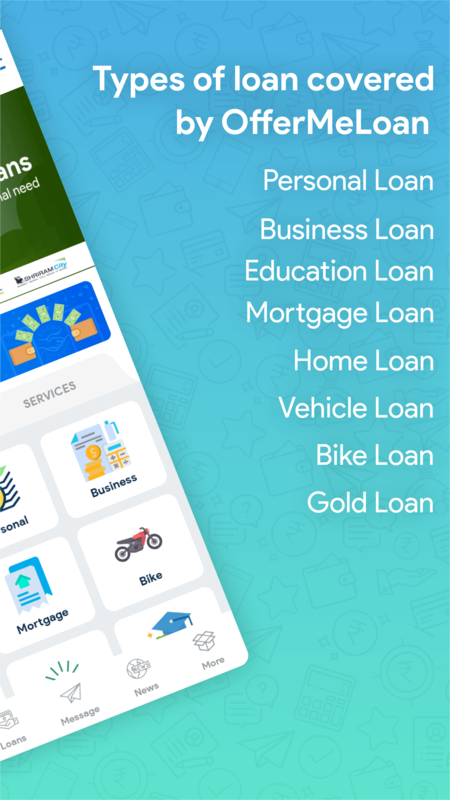 Within the app you can easily change the Loan amount and purpose from Loans List section. Click on the loan ID and change the loan amount from the details. To edit and update the profile you can go to More and Edit Profile Section. 12. Why OfferMeLoan is charging us if its a Platform? To maintain the Platform we have certain investment and maintenance and accordingly we are charging you for the same. OfferMeLoan app is completely ads free so Advertisement is not the source of our income. Processing fees we are charging is shared with the Authorised OML Partner who professionally consults and process your loan application. Our Authorised OML Partner does not charge you any additional charges as Loan Commission. 13. What cash back on referral code which you offer? When you share the app with 5 Loan Seekers and ask them to add loan then you receive a cash back of rupees 100/-. You cannot ask for Cash back until 5 loans are not added using your referral code. 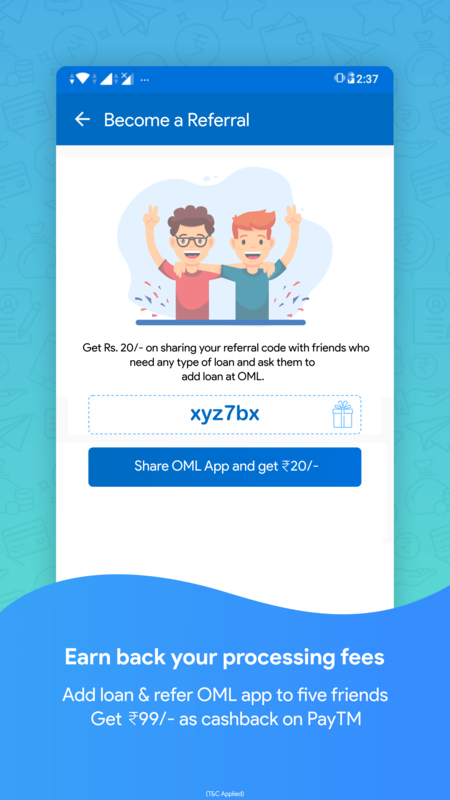 Referral code us available under more section in app. 14. What is we failed to pay processing fees? If you failed to make the payment for processing fees then your loan profile is rejected and your loan status will be marked to rejected from OML Partner. 15. Is their any Hidden Charges? 16. What is your Refund Policy? Offer Me Loan does not offer any refund for processing fees. 17. How do I add multiple loans? You can easily add multiple loans from the same login when you wish to add for multiple categories. Login to your Dashboard and process the loan ahead. Loan will be allocated nearby to you according to the Loan Type. Example: Personal Loans are allocated to specific partners and educational loans are allocated to different partners. 18. Who can register as Borrower? Borrowers from India with age group of 18 to 60 which are Salaried / Self Employed and Genuinely need loan or business services / financial services can Register for Free. 19. Who are the OML Partners? 20. How to become OML Partner? 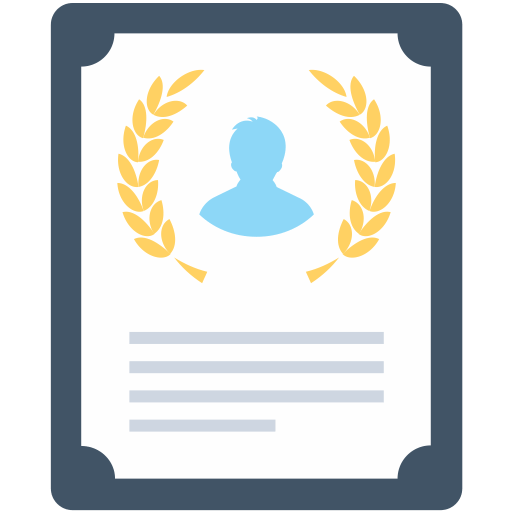 OML Partners are the one who has experience of Loan Processing and expertise of Finance consulting. Usually we prefer CA or Tax, Finance Consultants. It is also necessary that the Partner must not have any DSA limitations to process the loan from any specific Bank or NBFC. He needs to be flexible to help OML Borrowers for processing loans from any possible sources nearby him. Hey, You can also post your Experience at Google PlayStore or at our Contact Us Page. We are glad to improvise ourselfs on your feedbacks & suggestions! Your Mobile/Email Already Registered Please Login to Your Account to add Loan. Your Mobile/Email Not Registered Please Create Account to add Loan. You Need to verify Your Location before Apply for Service. Sorry, We are not available for your state or city. Currently you can not Apply for Service. You Need to Login to your Account for Applying Service. Our goal is to provide access to all types of loans at insight competitive interest rates from Financiers to Borrowers with high transparency of communication whereas we are the only mediator to them.